I got this beautiful Christmas card from a team leader, Mo Dickie, of Toronto. Mo used the Stampin’ Up! 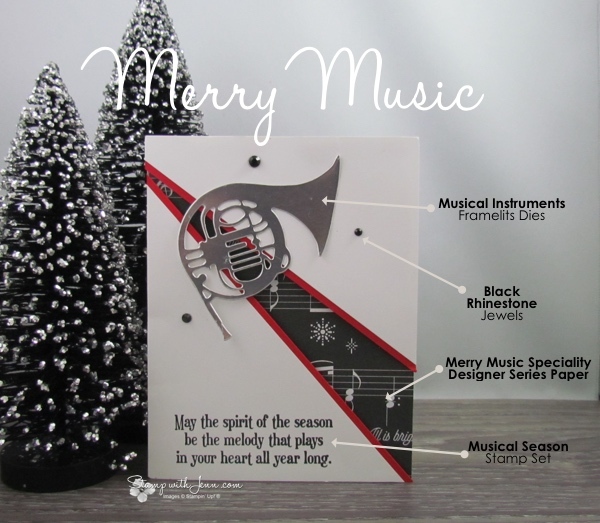 Merry Music Specialty Designer Series Paper as the piece that is peeking the through the front of the card. I love the angle of the front of the pieces of the card. It adds an unexpected dimension and different look to the layers. 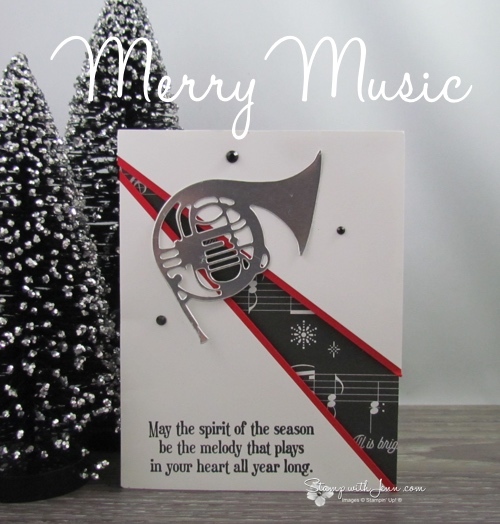 The gorgeous French horn is a die cut from Silver Foil cardstock using the Musical Instruments dies. The dies are available as part of the Musical Season Bundle with the Musical Season stamp set. See all the supplies I used on this card below. To reach my online store, click any of the product images below.